Shiels Engineering | Our mission is to provide affordable and top quality geologic, environmental, and engineering service to the Petroleum, Commercial and Industrial communities. Our mission is to provide affordable and top quality geologic, environmental, and engineering service to the Petroleum, Commercial and Industrial communities. Shiels Engineering, Inc. (Shiels Engineering) incorporated in September of 2005. Services provided by Shiels Engineering include Oil and Gas exploration and production (E&P) consulting, environmental, health & safety (EHS) consulting, geological engineering and EHS training. Shiels Engineering is registered as a Historically Underutilized Business (HUB #1010655669800) certified by the State of Texas. Shiels Engineering is also registered with the North Central Texas Regional Certification Agency (#WFWB97628Y0618) as a Woman-Owned Business. The principals of Shiels Engineering, Inc. (Carol and David Shiels) have worked together for more than three decades and have been happily married since May 1987. Perhaps David and Carol’s greatest accomplishments are their two children; Andrew and Sara. They are outstanding young citizens and are both working hard in their communities. Carol and David provide a unique blend of technical and business acumen. Combined, they provide a diversity of experience and infusion of new ideas which have been a key to their collective successes. Carol has a B.S. degree in Geological Engineering from Princeton University in Princeton, New Jersey. She is a skilled Geological Engineer with 37 years in practice. Carol is experienced in many aspects of geological engineering from oil and gas prospect evaluations to groundwater and surface drainage assessments where building foundations are affected by poor drainage and shallow groundwater. Carol is a consultant in Oil & Gas and Geological Engineering Operations and provides critical technical support to her clients in the assessment of minerals that are either being bought or sold. 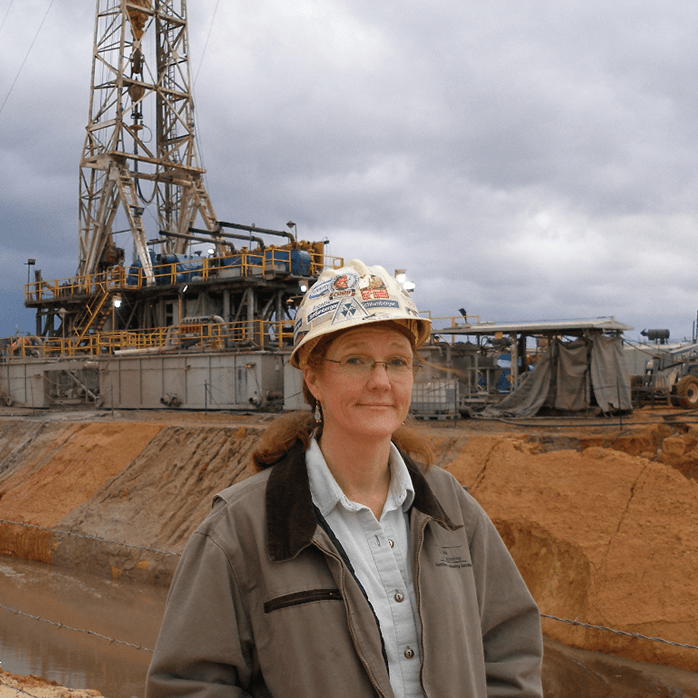 She has extensive operations experience in East Texas, Permian Basin, and Southeast Kansas. She also has environmental compliance experience developing SPCC plans, crude oil cleanups under Railroad Commission jurisdiction and air emissions inventories. Carol enjoys consulting on an as-needed basis from prospect evaluation, drilling operations, completion, and regulatory compliance. David has a B.S. degree in Geology from Trinity University in San Antonio, Texas. 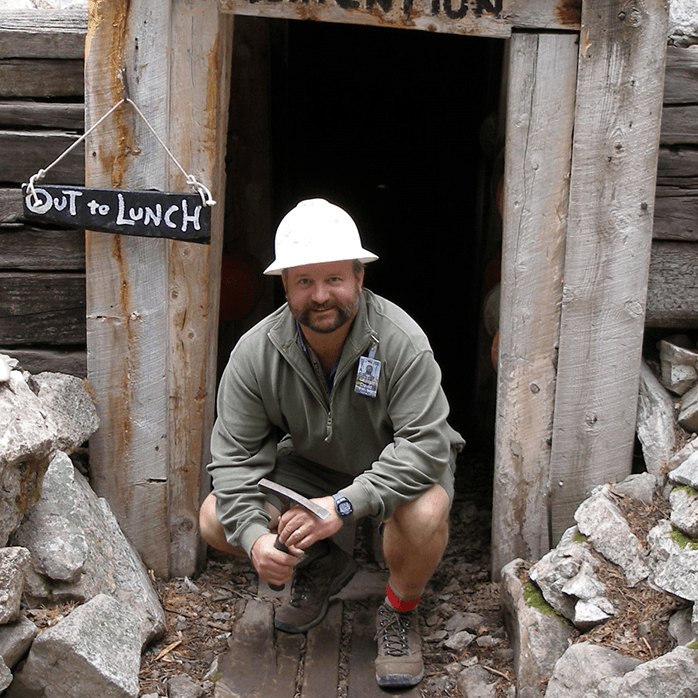 He is a skilled Geologist and Certified Hazardous Materials Manager with 34 years of experience. David is experienced in many aspects of environmental consulting such as facility compliance evaluations, hydrogeology, site assessments, subsurface investigations, solid waste management unit closures, the development of storm water plans, development of Pollution Prevention (P2) plans and health, safety & environmental training. David provides training for both the 40-Hour and 8-Hour HAZWOPER courses to industry and fellow consulting companies. David is familiar with and enjoys cleaning up sites that are enrolled in the Texas Commission on Environmental Quality (TCEQ) Voluntary Cleanup Program (VCP). David has managed many industrial sites in the VCP and has successfully closed them where clients received a Certificate of Completion from the VCP. David has also managed a site where a Municipal Setting Designation (MSD) was sought. This site has been awarded an MSD. Member of the Society of Independent Professional Earth Scientists (SIPES). Ms.
enable her client’s staff to work efficiently together. Woodlawn and Gooch Fields, Harrison County, TX. pinnacle reef wells and Woodbine/EagleFord in Leon and Robertson Counties. October, 1986, Docket No.6-88, 965, Michael H.
March, 1987, Docket No. 6-90,074, SMK Temp. July, 2010, Grayson Co., TX, Cause No. September, 2013, Harrison Co., TX, Cause No. assessments and indoor air quality studies. audits, and health & safety training. industrial facility compliance audits, and health & safety training. major oil and gas clients in the Dallas/Fort Worth area. and ground-truthing of suspected sites of interest in Region VI. prospect evaluation and generation, sales of prospects. resulting from releases or spills at oil & gas (E&P) or industrial facilities. and in-situ and ex-situ bioremediation systems. months with the issuance of a Certificate of Completion (COC) by the TCEQ. 40 CFR 268.42) prior to disposal in a Class I non-hazardous waste landfill. Subsequent to remedial action, the closure report was submitted to the TCEQ. The TCEQ granted closure for the site. Conducted an Environmental Site Assessment on a printing facility. developed and implemented to complete the project within 45 days. recyclable assets or resources rather than unusable liabilities. gas operator in East Texas. A total of 5 wells were included in the project. manage and pump the wells. activities involved Level B and Level C surface sludge and soil sampling. Investigation Feasibility Study (RI/FS) for the site. and geological subsurface maps were drawn to evaluate the site’s geology. the potassium permanganate injections. The project is on-going. removal, the site was granted closure under the TCEQ’s VCP program. granted under the TCEQ’s VCP. TCEQ’s LPST program for reimbursement and closure was received. of chlorinated hydrocarbons and TPH in soils and groundwater at the site. be closed under the TRRP VCP. with a vacuum truck. Recovered water was injected into the Class II well. 3 days. Closure from the Railroad Commission was obtained. excavation revealed that no soils were impacted from TPH or BTEX compounds. The site was entered into the TCEQ’s LPST program and closure was received. contamination. The case was settled out of court. fracturing tanks (Frac Tanks). The liquids were produced from a gas well. from the Well. During pumping, a fire burned the workers. was released from a neighboring dry cleaners onto the plaintiff's property. case was settled by way of arbitration. tenant and not the defendant. arbitration settled the case out of court. facility had historical releases of gasoline constituents to groundwater. of “damaging developable property”. Case has been settled. Quarterly Volume XLIX Number 2 November 2012. TEEX. Also conducts training for PRT-145, OSH301, OSH201, OSH226 and OSH511. Technical support in the evaluation of over 7,000 acres of oil and gas properties. Carol facilitated the negotiations and sale of the properties throughout the entire process. Managed subcontractors in the drilling and completion of a horizontal well near Iola, Kansas. The well was completed in a coal seam to extract methane gas. Developed prospective areas over thousands of acres of oil and gas minerals which have been leased and drilled with an 87% success ratio. Provides well site assistance including logging, drill stem testing and coring throughout Texas and southeastern Kansas. East Texas and Fort Worth Basin areas. Conducts Hazardous Waste Operations & Emergency Response (HAZWOPER) training for industry and environmental consulting firms in North Texas. The training is usually held at the client’s office. Has Conducted many training sessions with industry that include waste management, pollution and spill prevention. Assisted in putting together PRT-145 for TEEX. Also conducted training for PRT-145: Oil & Gas Exploration and Production Environmental Regulations course. Conducted a comprehensive Environmental Site Assessment, Environmental Subsurface Investigation, entered site in Voluntary Cleanup Program (VCP) and pursued closure of the site using MSD adjusted critical Protective Concentration Levels (PCLs) under the Texas Risk Reduction Program (TRRP). The City of Dallas and TCEQ approved the MSD application. Conducted site investigation, decontamination and closure oversight of a former semiconductor assembly building. Site investigation efforts concluded that the facility’s waste collection system had leaked over time and released trichloroethylene (TCE) into soils at the site. The site was entered into the TCEQ’s VCP where a remedial plan was approved involving the excavation and removal of the affected soil to below the TCE cleanup criteria. Provided oversight of remedial contractor to verify that closure goals were met. Conducted an Environmental Site Assessment on a printing facility. Environmental concerns were further investigated and two groundwater plumes were identified; one from off-site and one from on-site. The site was entered into the Voluntary Cleanup Program (VCP) and the Innocent Owner Purchaser (IOP) programs. Certificates of completion were issued for both the IOP (off-site source) plume and the VCP (on-site) plume under TRRP. Conducted a multimedia environmental, health and safety Compliance Audit of a major printing facility in north Texas. The audit was conducted pursuant to Section 10(g) of the Environmental, Health and Safety Audit Privilege Act, which provides immunity for violations voluntarily disclosed as a result of a compliance audit. The scope of the audit included the evaluation of the facilities compliance with applicable Environmental, Health and Safety regulations, as well as the Environmental Protection Agency (EPA) hazardous waste regulations and TCEQ Industrial Solid and Hazardous Waste regulations, TCEQ’s Air Quality, TCEQ’s Texas Pollutant Discharge Elimination System (TPDES) Permit, and local Industrial Wastewater Pretreatment Discharge Permits. Served as an expert witness on a case where hazardous industrial waste sludge (lead) was spilled on the plaintiff's property. Testimony included disclosure of the results of an extensive environmental site investigation that determined the aerial and vertical extent of affected media. The case was settled out of court in favor of the plaintiff. Serves the facility in a compliance capacity for programs including Hazcom, Confined Space, Lockout/Tagout, storm water pollution prevention plans & sampling, Pollution Prevention (P2 Plan) Plan (Source Reduction & Waste Minimization), Form R and TRI reporting, Tier II reporting and develops & conducts EHS programs training. Entered site in VCP and pursued closure under TRRP for site in Grapevine, Texas. The groundwater plume contained dissolved concentrations of trichloroethylene, cis-1, 2-dichloroethene and vinyl chloride. The project involved installation of groundwater monitoring wells to delineate the horizontal and vertical extent of affected media. Geological cross-sections and geological subsurface maps were drawn to evaluate the site’s geology. Numerous subsurface maps of groundwater contaminates were drawn to illustrate the dimension and character of the groundwater plume. Observed and monitored the installation and operation of a potassium permanganate injection system utilized to treat the chlorinated solvent affected groundwater. Conducted groundwater sampling to evaluate the effectiveness of the potassium permanganate injections. The project has been closed and the property was sold. Completed SPCC plans for 43 producing wells in east Texas for an oil & gas operator. Conducted surface drainage and subsurface groundwater investigation to solve a flooding problem at a warehouse facility in northern Texas. Seven groundwater observation wells were installed in two shallow horizons; unconsolidated clayey soils and weathered Austin Chalk. The problem was solved by regarding the site and rerouting downspouts to channel water away from the building structure. Shiels Engineering offices in Kaufman, Texas, and provides a full range of Oil and Gas, Environmental, and Environmental Health & Safety (EHS) consulting and training. Carol and David Shiels are both highly qualified individuals who offer experienced practical solutions to problems. Carol and David Shiels have collectively conducted, supervised and reviewed hundreds of Oil and Gas prospects, environmental assessments and EHS compliance and training projects. David is also an adjunct professor for Texas A&M’s Engineering Extension Service (TEEX) where he teaches PRT-145; an environmental course for the oil & gas industry (E&P) and OSH301 Excavation, Trenching and Soil Mechanics and serves as course instructor for both PRT145 and OSH301. He also teaches OSH201 a Hazardous Materials course dealing with flammable liquids, hazardous and flammable gases, LPG, cryogenics and other hazardous materials. Shiels also teaches General Industry (Oil & Gas) OSH511 and OSH226 Confined Space. Provided log evaluation and completion recommendations including reservoir mapping and location proposals. 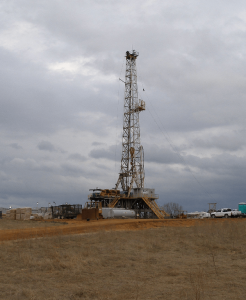 Developed a prospective area of over 2,500 acres of oil and gas minerals which have been leased and should be drilled within the year near Overton, Smith County, Texas. Potential horizons include the Haynesville Lime, Cotton Valley Sands and Rodessa Lime. Provided well site assistance including logging, drill stem testing and coring throughout Texas and southeastern Kansas for 27 years. Has served as an expert witness in over 25 cases concerning field rules, spacing exceptions, correlative rights, lease perpetuation and new field designations in East Texas and Fort Worth Basin areas. Conducted annual Hazardous Waste Operations & Emergency Response (HAZWOPER) refresher training for private industry clients in Terrell, Texas. The training was held at the client’s facility. Conducted basic 40 Hour Hazardous Waste Operations & Emergency Response (HAZWOPER) training for an environmental consulting firm in Carrollton, Texas. The training was held at the client’s office including field training exercises. Conducted a comprehensive Environmental Site Assessment, Environmental Subsurface Investigation, entered site in Voluntary Cleanup Program (VCP) and pursued closure of the site using MSD adjusted critical Protective Concentration Levels (PCLs) under the Texas Risk Reduction Program (TRRP). The City of Dallas approved the MSD application in January 2007 and the TCEQ MSD application was approved in March 2007. The Affected Property Assessment Report (APAR) was approved and the certificate of completion was issued. Conducted an Environmental Site Assessment on a printing facility in north Texas. Environmental concerns were further investigated and two groundwater plumes were identified; one from off-site and one from on-site. The site was entered into the Voluntary Cleanup Program (VCP) and the Innocent Owner Purchaser (IOP) programs. Certificates of completion were issued for both the IOP (off-site source) plume and the VCP (on-site) plume under TRRP. Conducted a multimedia environmental Compliance Audit of a major Newspaper printing facility in north Texas. The audit was conducted pursuant to Section 10(g) of the Environmental, Health and Safety Audit Privilege Act, which provides immunity for violations voluntarily disclosed as a result of a compliance audit. The scope of the audit included the evaluation of the facilities compliance with applicable Environmental, Health and Safety regulations, as well as the Environmental Protection Agency (EPA) hazardous waste regulations and TCEQ Industrial Solid and Hazardous Waste regulations, TCEQ’s Air Quality, TCEQ’s Texas Pollutant Discharge Elimination System (TPDES) Permit, and local Industrial Wastewater Pretreatment Discharge Permits. Served as an expert witness on a case where hazardous industrial waste sludge (lead) was spilled on the plaintiff's property. Testimony included disclosure of the results of an extensive environmental site investigation that determine the aerial and vertical extent of affected media. The case was settled out of court in favor of the plaintiff. Serves the facility in a compliance capacity for programs including storm water pollution prevention plans & sampling, Pollution Prevention (P2 Plan) Plan (Source Reduction & Waste Minimization), Form R and TRI reporting, Tier II reporting and develops & conducts environmental programs training. Entered site in VCP and pursued closure under TRRP for site in Grapevine, Texas. The groundwater plume contained dissolved concentrations of trichloroethylene, cis-1, 2-dichloroethene and vinyl chloride. The project involved installation of groundwater monitoring wells to delineate the horizontal and vertical extent of affected media. Geological cross-sections and geological subsurface maps were drawn to evaluate the site’s geology. Numerous subsurface maps of groundwater contaminants were drawn to illustrate the dimension and character of the groundwater plume. Observed and monitored the installation and operation of a potassium permanganate injection system utilized to treat the chlorinated solvent affected groundwater. Conducted groundwater sampling to evaluate the effectiveness of the potassium permanganate injections. The project has been closed and the property was sold. Conducted surface drainage and subsurface groundwater investigation to solve a flooding problem at a warehouse facility in northern Texas. Seven groundwater observation wells were installed in two shallow horizons; unconsolidated clayey soils and weathered Austin Chalk. The problem was solved by re-grading the site and rerouting downspouts to channel water away from the building structure.